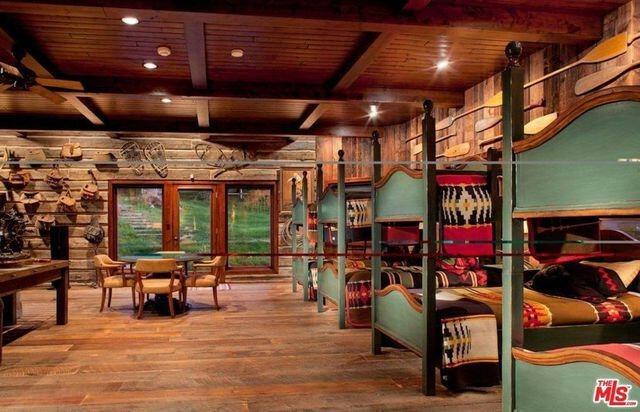 Nestled among the trees of mountainous northern Idaho is Thunder Ranch, an estate that ticks all of the boxes for a wealthy outdoorsman. The $20 million asking price also makes the Sagle, ID, property the most expensive home in the state—even with a significant price drop from the $38 million it was initially listed for in 2014. Native American artifacts adorn the interior walls and rooms of Thunder Ranch, which also features natural stone and hand-polished wood beams throughout. There are nine bedrooms and 14 baths. 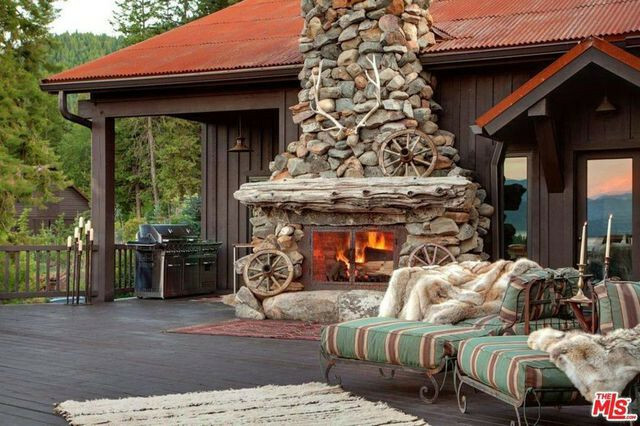 Thunder Ranch has seven custom fireplaces to keep everyone warm and toasty during the frigid winters. The custom kitchen features hand-finished copper and nickel cabinetry, and several of the rooms boast incredible lakeside views. “This is a nearly 50-acre, six-structure compound with lush pastures, 1,600 feet of lake frontage, waterfall, infinity pool, and helipad,” says Hurwitz. The home overlooks Idaho’s largest lake, the pristine Lake Pend Orielle. The lake is a location rich in history, dating to the receding of the continental ice sheets thousands of years ago. Native American tribes were the first to inhabit the area. The site was also popular in the late 1800s during the gold rush. The acreage includes an orchard, pasture, and picturesque gardens. Thunder Ranch is paradise for any nature lover.